Last night, I had the pleasure of having dinner at a friend’s house. In true friend fashion, Emma cooked an above and beyond gluten and dairy free meal! I can’t express enough how much it means to me when friends and family cook not only something that I can eat, but something delicious. I know that it is a challenge, but Emma did it with a smile! 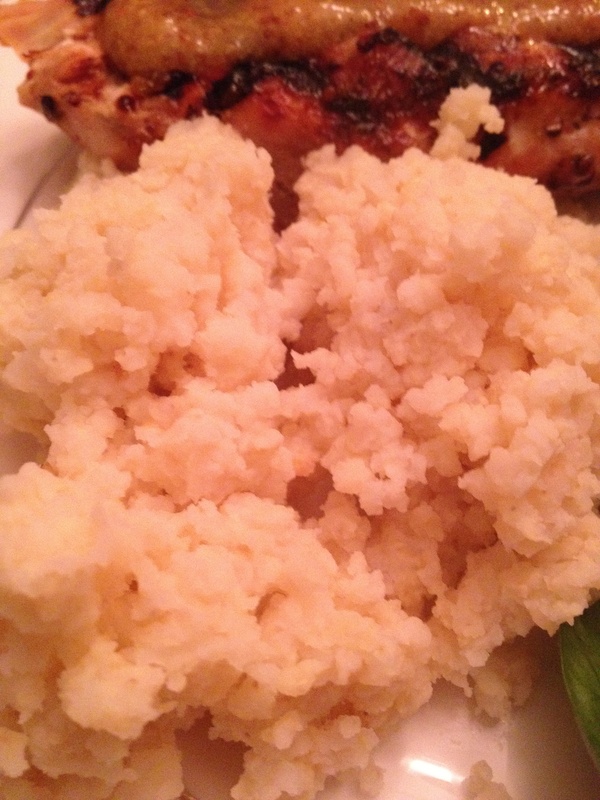 I was so impressed with the meal that we all shared last night, and I had to show you. 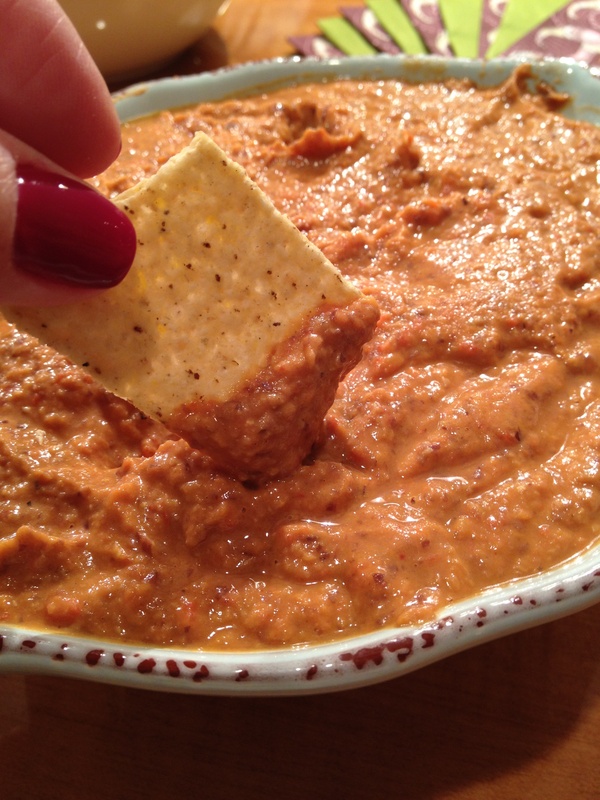 We started with corn chips and sweet potato chips dipped in homemade red pepper bean dip… so delicious! 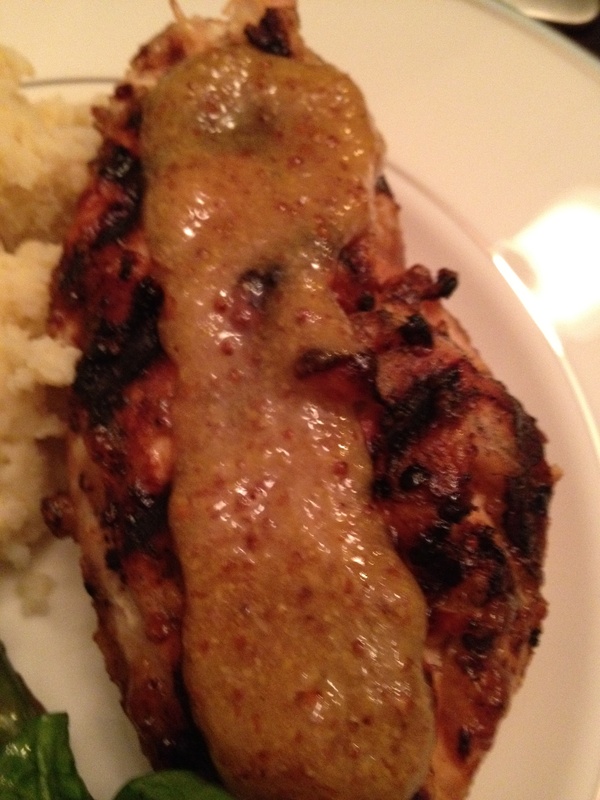 Grilled chicken with a genius glaze… whole grain mustard, apricot preserves, and salt and pepper combined in a food processor. The sweet and spicy combination was perfect for grilled chicken. 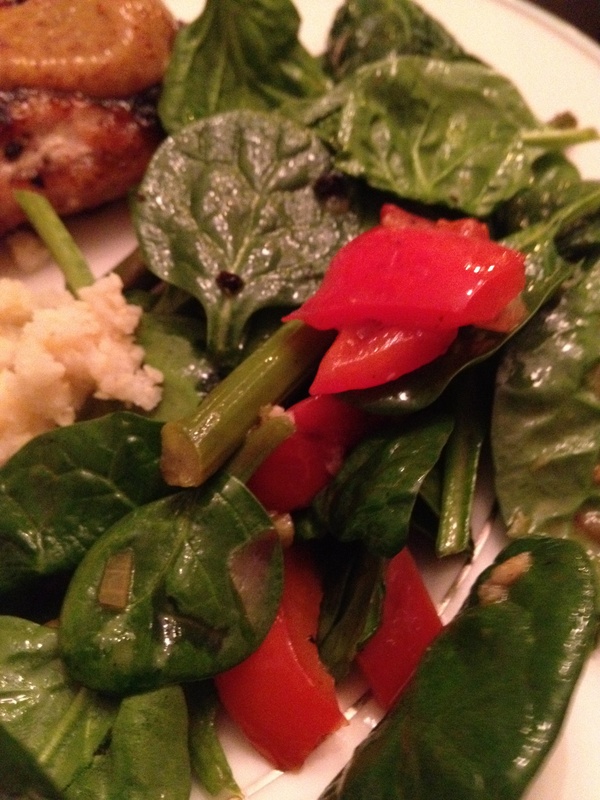 Spinach salad with roasted red peppers and asparagus… all my favorites veggies, and so pretty. 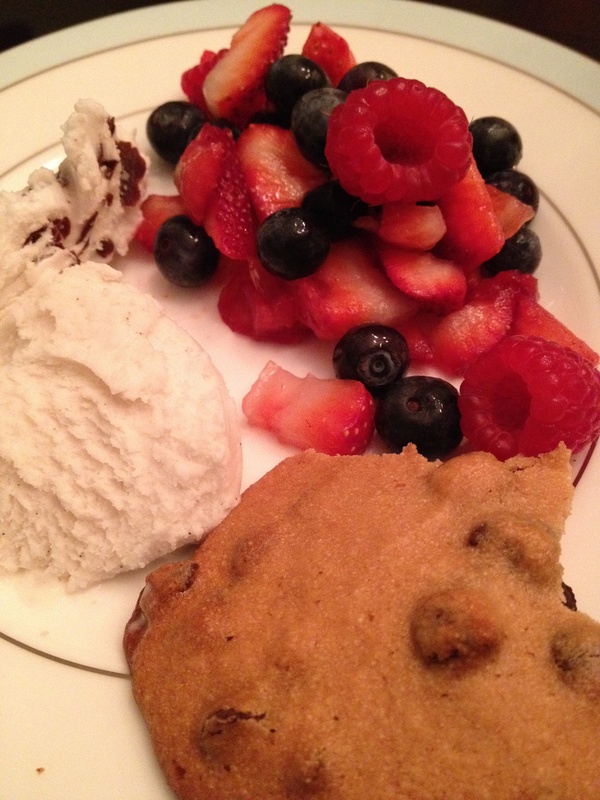 No meal is complete without dessert… gluten and dairy free peanut butter chocolate chip cookies, fresh fruit, and So Delicious ice cream. I think we all had seconds on dessert. I love cooking, eating, and discovering new allergy free recipes, but I love sharing the experience with close friends even more. Thanks for a wonderful dinner! This was the first gluten and dairy free meal that I have ever cooked and it was so much fun and surprisingly easy once I figured out what was allowed and what wasn’t! Lauren’s Balanced Fork, Healthy Life blog and recipes definitely helped =) The dip and cookies were both Balanced Fork, Healthy Life recipes. We were all happy and stuffed after the meal. Thanks for a great night!